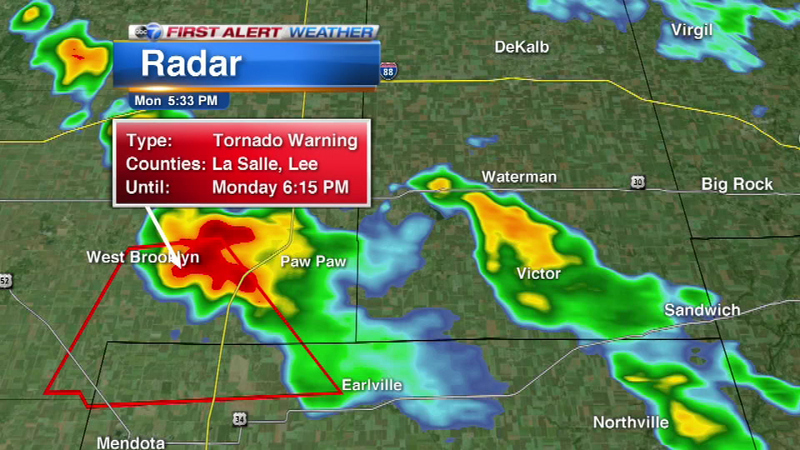 CHICAGO -- A Tornado Warning was canceled shortly before 6 p.m. for Lee and LaSalle counties in Illinois. The storm that prompted the warning, originally set to expire at 6:15 p.m. Monday, weakened below severe limits, according to the National Weather Service. While the storm is no longer capable of producing a tornado, gusty winds and heavy rain are still possible with the thunderstorm.